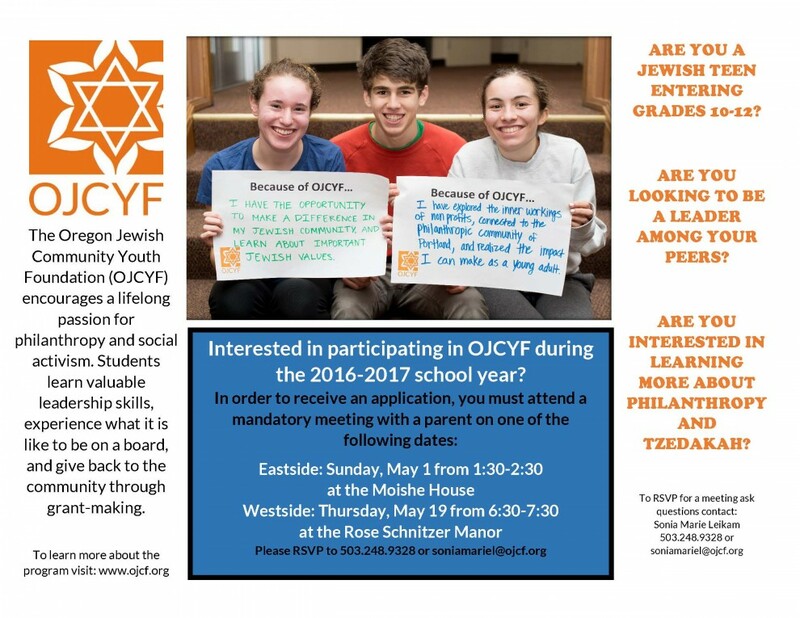 The Oregon Jewish Community Youth Foundation will be holding two informational meetings for teens who are interested in applying to OJCYF for the 2016-2017 school year. Both meetings for students and parents will be held in May. Or contact Sonia Marie Leikam, Collaborative Giving Program Coordinator, at soniamariel@ojcf.org or 503.248.9328. J Street presents Mitchell Plitnick : "Let's Take A Deep Breath On BDS"